I was reading a very engaging story on infographics in the current issue of Smithsonian and thought it might be relevant to share my perspective on this subject. 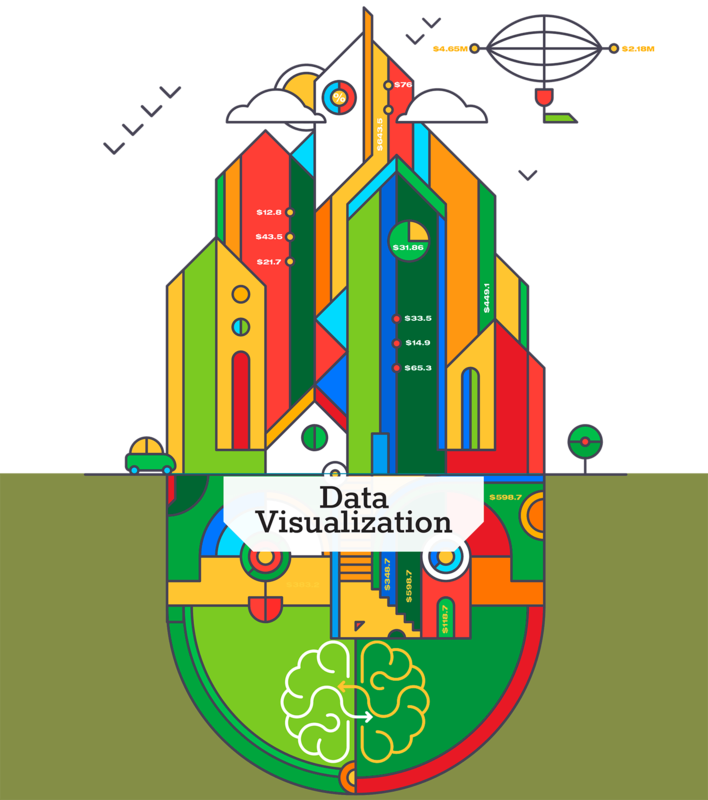 The story begins with a summary of how infographics and data visualization have influenced events throughout history. Incredibly, it’s a very old, dating back 8,000 years. However, the early uses were used primarily as maps. After all, a map is a visual representation of our world based on current data available. Today, the available data is much more vast and the need to make it understandable is a struggle for almost all companies that are trying to reach their audience with critical information. Whether it’s a newspaper like The New York Times trying to convey the current political climate in the Middle East or a small company that is trying to persuade visitors to their site the value of what they have to offer, there’s vast amounts of data and a need to make it interesting and engaging. Let’s face it. Data and spreadsheets aren’t compelling. Vast amounts of data needs to be filtered, analyzed based on the audience it’s intended for and then tremendous effort needs to be put forth to make it interesting to the viewer. Normally, this is where a designer comes in handy. Much of my day is spent simplifying complex information to make it understandable. Whether it’s a logo, an annual report, or a web page, this is an important part or what I do. But simplifying is only part of the project. Making it compelling is also critical. As an example, I was working on a project for MuniServices, a company that helps local governments discover and recover revenue. They have many ways to help with this, from revenue discovery and tax administration to information services and audit collections. Really dry stuff, right? My job was to convey the vast amount of ways they do what they do and also grab and hold the reader’s attention. If that wasn’t all, I had to visually tie in their overall imagery so it can be carried through to their two service extensions: BizLink and EZTransparency. If you’re struggling to bring life and interest in your data, whether it’s a report or your entire online presence, an experienced graphic designer can be your best solution. They can work with you to find your story in the data, give it life with type and imagery so it has impact with your audience.